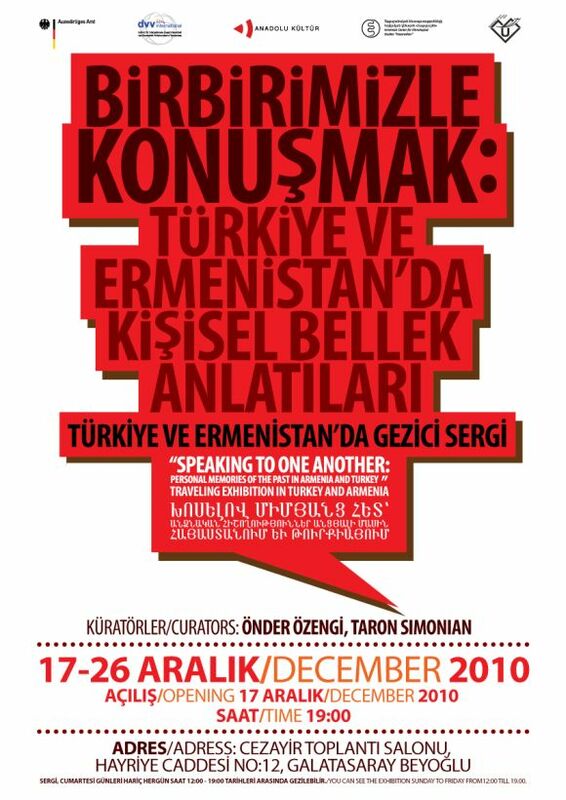 You are invited to an exhibition, "Speaking to One Another: Personal Memories of the Past in Armenia and Turkey" based on an oral history project conducted in the two countries. The exhibit will open on Friday, December 17 at 7 p.m. at Cezayir, the exhibition space of Anadolu Kultur in Galatasaray and will be open for a week. The book based on the same project will be available at the exhibit.